Canada is a scenically beautiful country filled with a vibrant diversity of people, geology, culture and weather. From the rocky Atlantic shores in the east to the sandy beaches of the Pacific in the west, this country is a cacophonous delight of rugged terrain, beautifully planned bustling cities, and crisp country air. 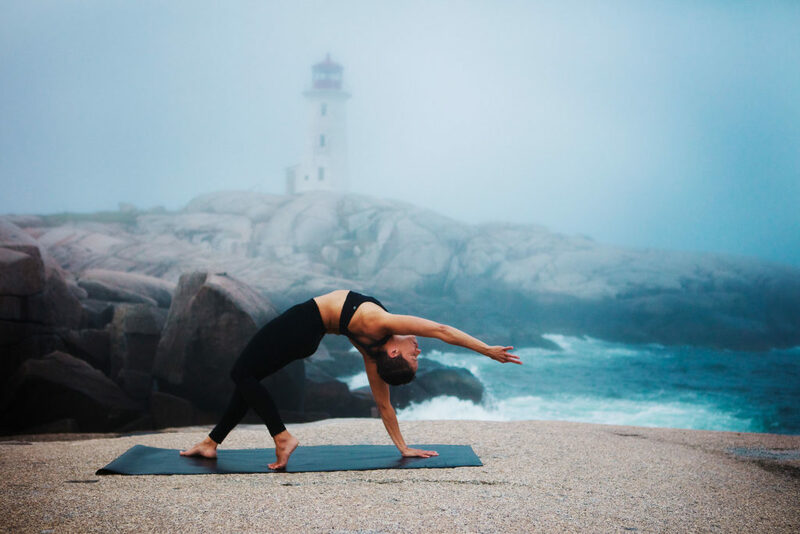 In honour of Canada’s 150th birthday this July 1st, we’re taking you to 11 gorgeous locations across the country from east to west for some authentically pure yoga experiences. Some of these sights are world renowned, while some are off the beaten path. 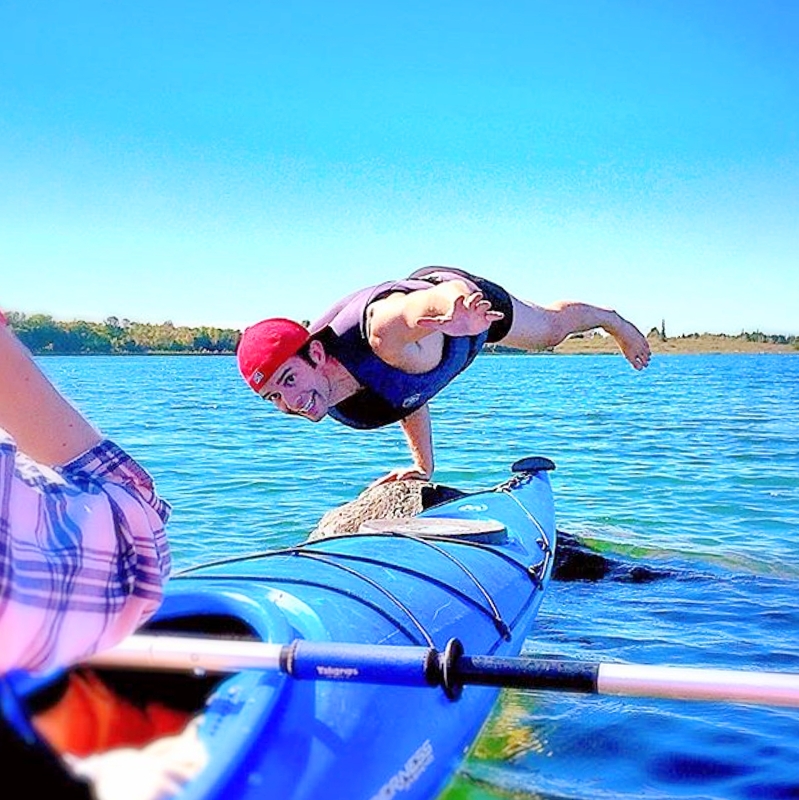 Come along and travel with us across Canada to 11 incredible outdoor locations doing yoga from sea to shining sea. The lighthouse at Peggy’s Cove Nova Scotia is probably the most photographed lighthouse in all of Canada. The rocky terrain upon which the lighthouse is built is battered by Atlantic storms, shrouded in ocean mist, or shines brightly in the Nova Scotia sunshine providing incredible imagery in all kinds of weather throughout the seasons. TryBelle Magazine writer and yoga teacher Nikki Martin lives in this beautiful eastern province known for its rugged scenery and natural calm lending a beautiful air to the images captured by Photographer, Jay Crews. Here yoga is serene, nested with nature, and sometimes beautifully desolate. In the middle of the bustling European style city of Montreal in the province of Quebec is Mont Royal. A well know tourist attraction, the walk up the mountain trail includes the Kondiaronk Lookout, which presents an incredible view of the city below. Hiking and biking trails throughout Mont Royal park provide great respite for nature lovers and yogis alike. Montreal is a city for walking and walking up Mont Royal to see the stunning view and take a few yoga pics is an absolute must. We don’t recommend doing what Blu Nathan is doing here however. That looks a little precarious, though Blu seems to handle it just fine. Nothing screams Canada more than Niagara Falls, and yes there are plenty of scenic lookouts with incredible views of one of the worlds great natural wonders. There are however plenty of other yoga photo ops on lively Clifton Hill, up at the top of the Skylon Tower, at the casino, and in the quiet parks that snake alongside the Niagara River Parkway. 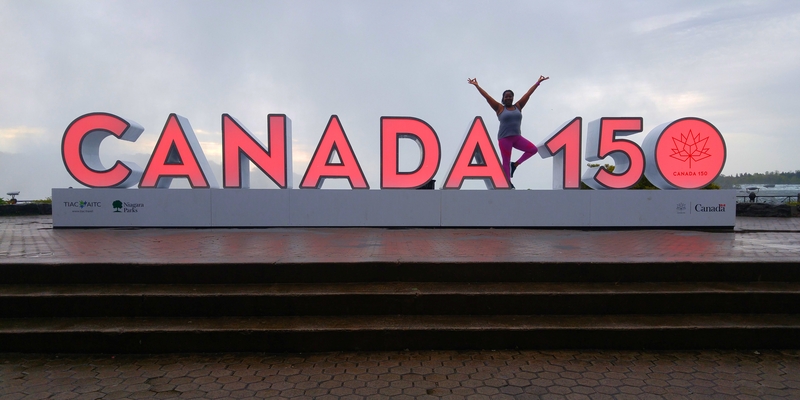 This Canada 150 sign however is the perfect place for a yogi image in honour of Canada’s birthday. Runner and yogini, Alison Altidor-Brooks was able to get out there on an early morning run before the rest of the world was awake to snap a shot with no one else in sight. What divine timing. If Niagara Falls is a wonder of the world, then Albion Falls is the wonder of southern Ontario. 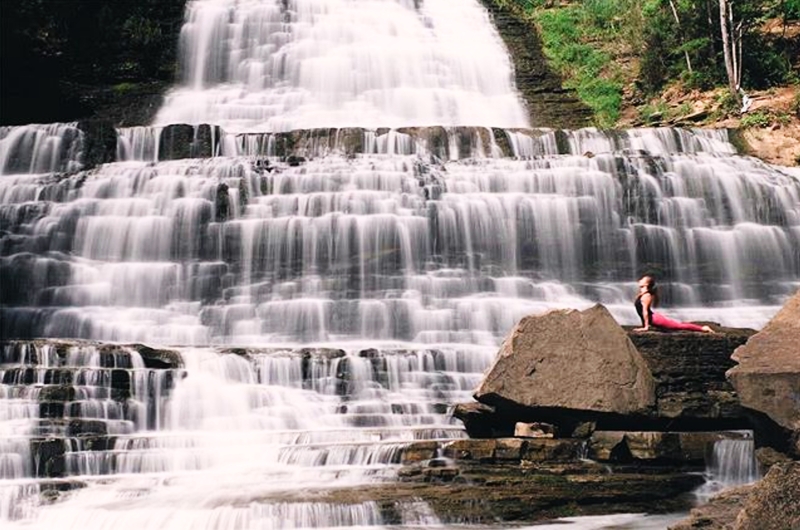 The cascading waters flow over the Niagara Escarpment and is a favourite place for photographers and fearless adventure seekers. The natural beauty of this Hamilton wonder is a great draw, however the adventurous must exercise caution. The place can be treacherous. High water levels, excessive rain, and rocky geological features mean that many people slip and fall, and some have even lost their lives here. 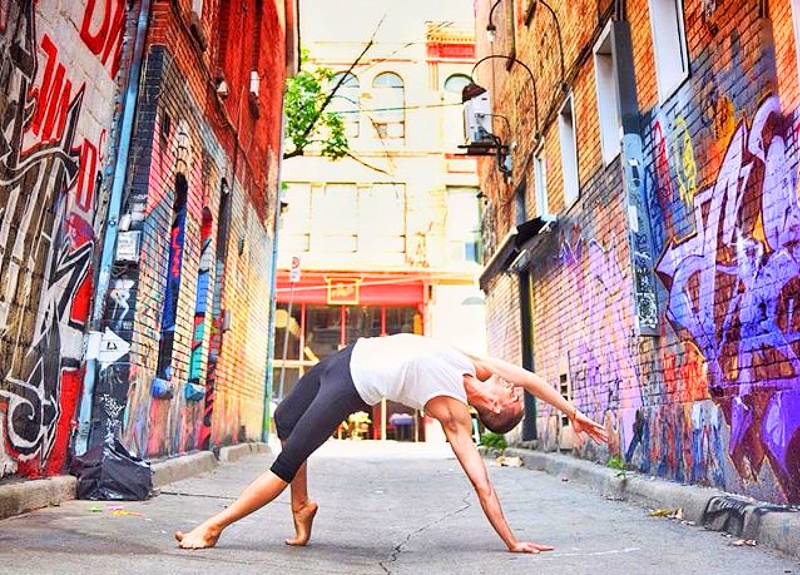 Yogi Photographer Anne Chung has her camera ready as you break into your asana. Based in the Greater Toronto Hamilton Area (GTHA), she captured the picturesque Albion Falls in all its natural splendour. Toronto comes alive with colour, culture and splendid diversity. From unique ethnic neighbourhoods to world renowned landmarks, there are plenty of opportunities to get some phenomenal yoga images. On sunny days, Lake Ontario beckons brilliant blue, while the Toronto sign at city hall is well known for yoga poses, but some of the best places are on the city’s streets, as colourful and vibrant as its people. Graffiti Alley in the fashion district runs along Queen Street West between Spadina and Portland streets. A kaleidoscope of colour twists along the streets providing a backdrop for uniquely creative images such as this one by photographer Kyla Wilson. Five hours north of Toronto where the Niagara Escarpment ends and the Canadian Shield begins, sits the world’s largest freshwater island. The natural beauty of enormous boulders, waters of the Great Lakes, and coniferous trees, give way to the spiritual energy of Manitoulin Island. 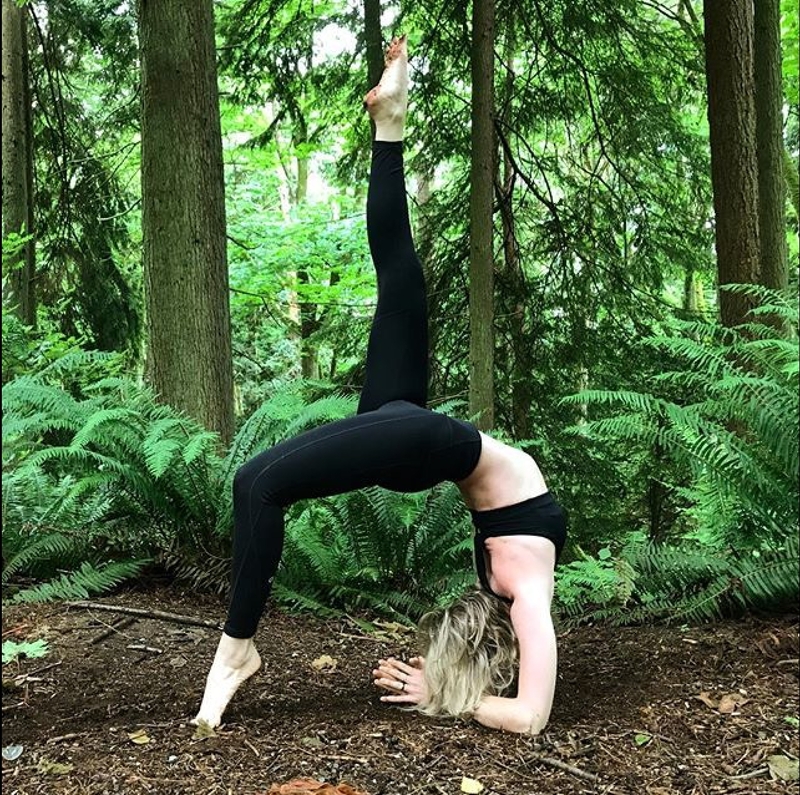 There are endless photographic opportunities for yoga aficionados and nature loving enthusiasts all the way from Little Current to secluded Meldrum Bay. Raymond Beaudry has spent considerable time loving this island as a yogi and a nurse. 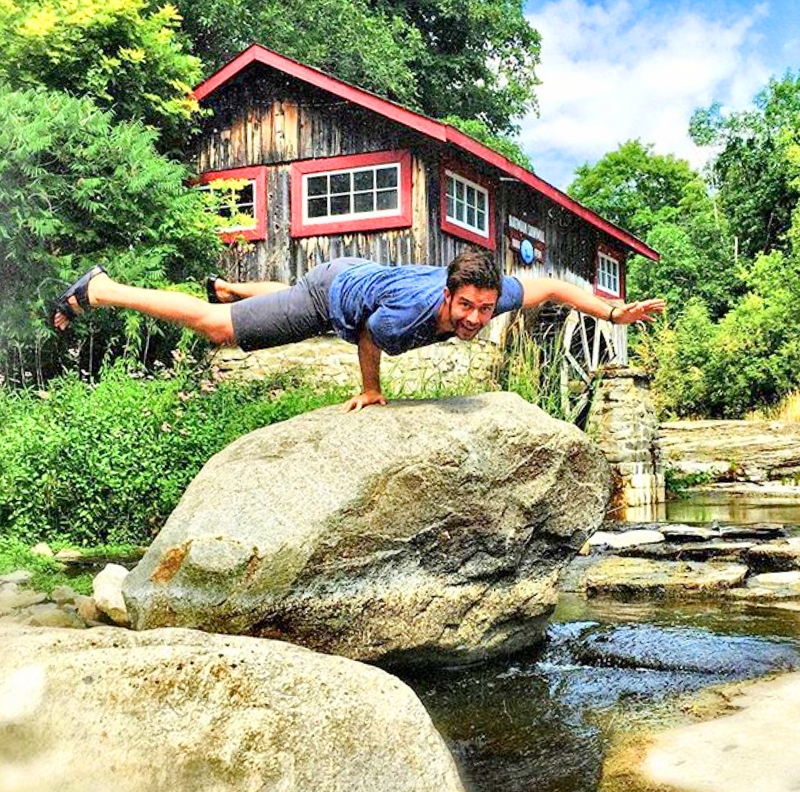 His powerful yoga poses coupled with the scenic beauty in and around this sacred island fill his Instagram feed, and are a testament to the unusual geology, rugged wilderness, and special energy of the great spirit at Manitoulin Island. About an hour and a half north of Manitoba’s capital city, Winnipeg, lies Lac du Bonnet, a quaint and rural town filled with an abundance of natural scenery and crisp clear skies. A haven for outdoor sportsman and peace seekers, Lac du Bonnet sits at the confluence of the Canadian Shield and the open Prairies to the west. Yoga teacher Kailey Lefko practices, teaches yoga, and provides outdoor yoga experiences in the serene flow of these fresh blue waters. Moving westward towards the flatlands of the prairies, the skies are expansive and rural farms stretch wide. The eye can see forever before it rests on the flat horizon of Saskatchewan, a province that nourishes both body and soul. These are the Canadian Prairies encompassing the provinces of Manitoba, Saskatchewan, and Alberta that are home to hundreds of small towns that stride by as you drive the TransCanada highway. The grassy lands of these prairie farms provide a backdrop of abundance and natural beauty nurtured by the farming families that toil away to feed the country. 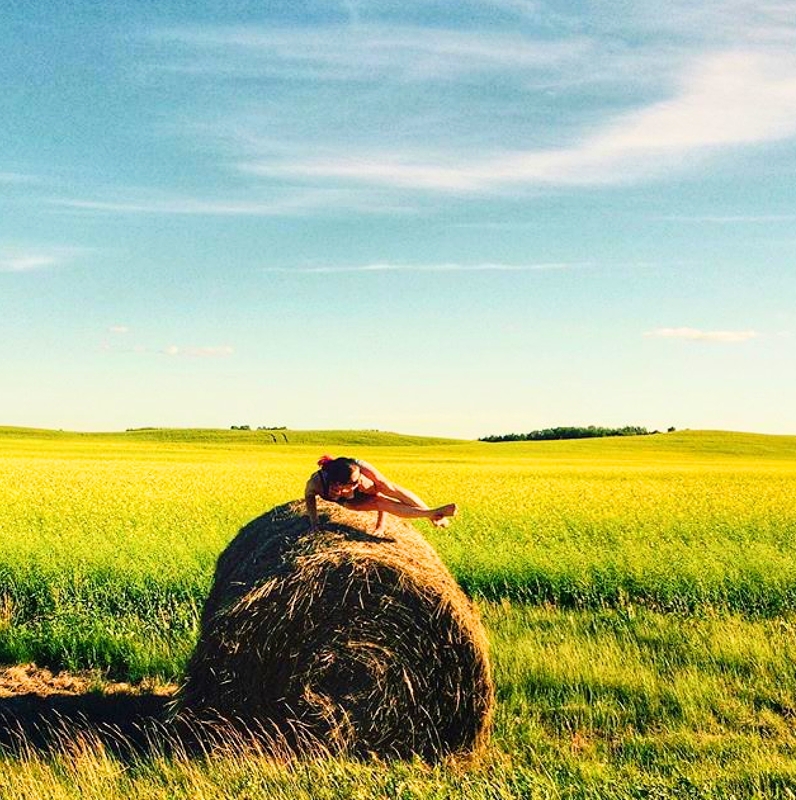 Prairie girl, and Masters student, Kandice Parker shows us that yoga outdoors on a bale of hay is beautiful in sunny Saskatchewan. 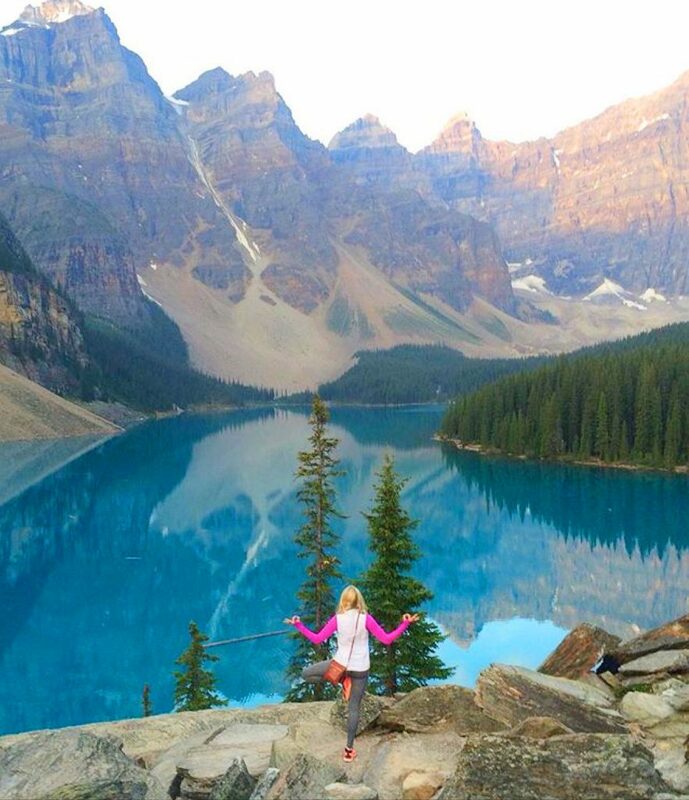 Paddling the turquoise waters of Moraine Lake in Banff, Alberta, is an experience that must be etched into every bucket list. The tranquil beauty of liquid glaciers that hit their peak in the June melt cannot be explained in words. Whether it’s a serene yoga flow, a meditative rest, or a quiet paddle, the experience is magical. Silence is broken only by the tinkling of droplets off your paddle, and the swish of your fingers in the cool fresh water as the mountains look on. Facing the majestic beauty of this flat reflective lake, Kayla Peterson stands on an ancient rock and pays homage to the tall conifers that line the shore. Just north of Whistler, British Columbia in Garibaldi Provincial Park is one of the toughest hiking trails, Wedgemount Trail. With quickly increasing elevations the trail twists through mountains and forests. Those who have done it say it is worth it for the challenge and the unfolding view. 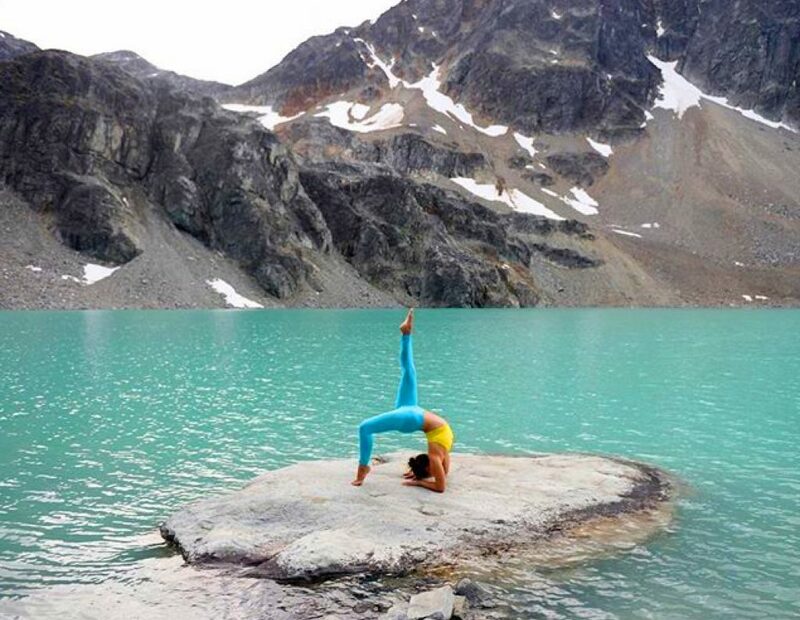 The crystal clear turquoise waters of Wedgemount Lake are a pristine sight to behold and a beautiful place to touch nature’s spirit through yoga. 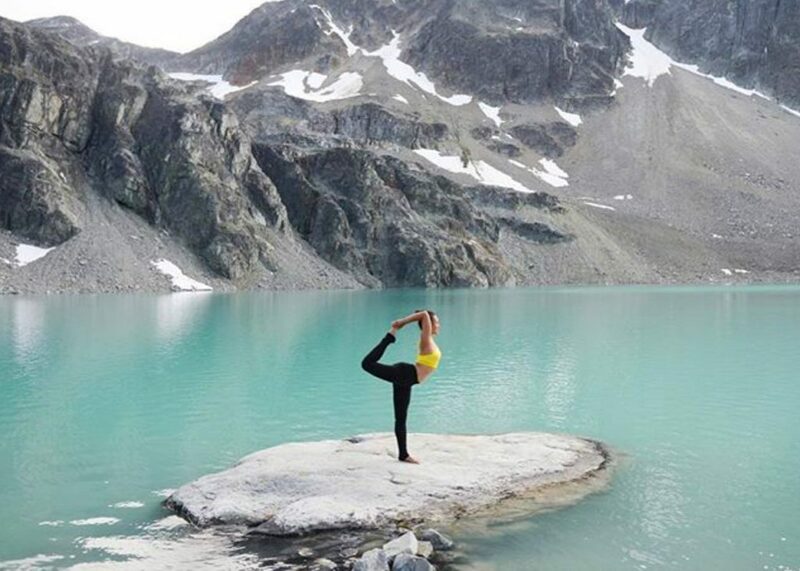 Vancouverite Cam Lee has shared her stories of adventure before and journeys out regularly to experience nature, do yoga, and share her blissful photography with us. Hiking the trails at Pacific Spirit Park is a lot less challenging and equally beautiful. Just west of the city of Vancouver lies 750 hectares of wooded parkland, walking trails, and forest. If trees are your thing (and we all love trees), then this lush, warm, woodland is not to be missed. City buses take you right to the park, which is accessible year round and is a favourite place for Vancouverites looking for an oasis of tranquillity and relaxation as an antidote to frantic city life. 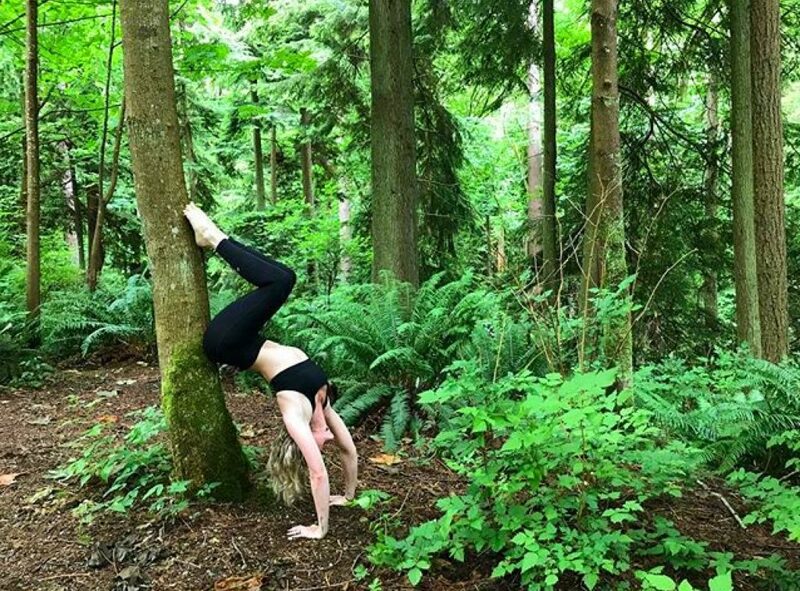 Adventurous yogini Mikaela has hollow backed those tall pines and does yoga among the soft woodland ferns that spread their happy fronds out to greet you. 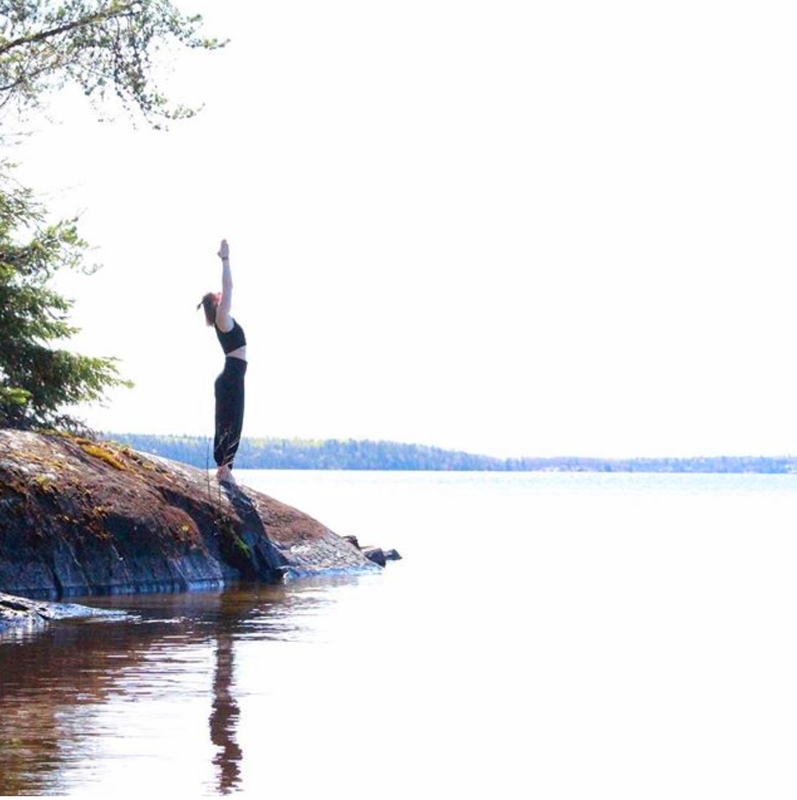 These 11 gorgeous locations across Canada are a drop in the bucket of incredible places to yoga across Canada. We could have picked 150. 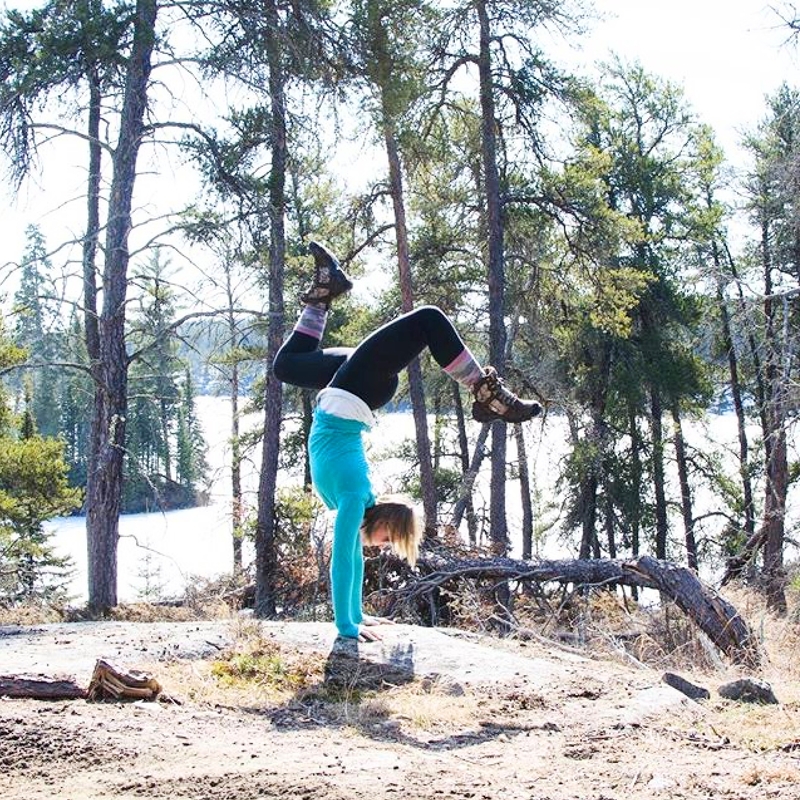 Have you got a special place that you do yoga in Canada or anywhere else in the world? Share it with us in the comments below or by tagging us in your images on Instagram. Happy 150 Canada and all Canadians all over the world. 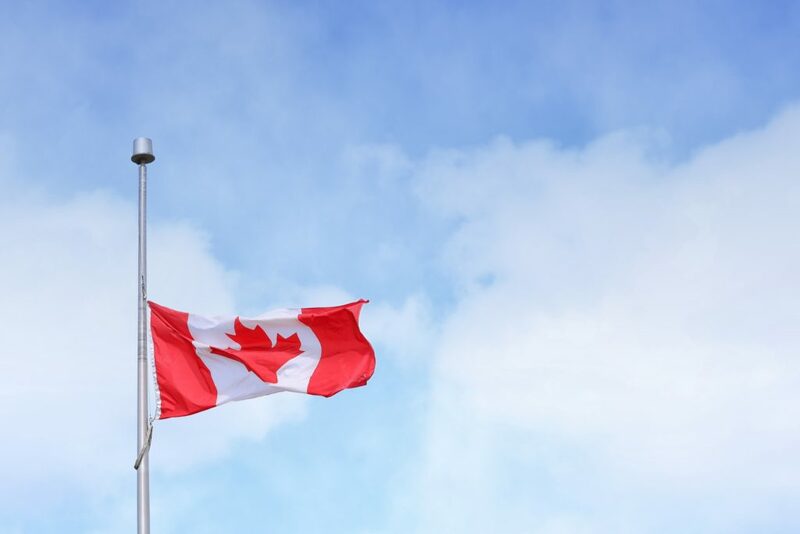 We are so proud to be Canadian in this true north strong and free!